Focus Features has picked up worldwide rights to Thoroughbred, a teen thriller that made its world premiere at the 2017 Sundance Film Festival this past Saturday. The film – written and directed by Cory Finlay, making his directorial debut – stars rising actors Anya Taylor-Joy (The Witch, Split), Olivia Cooke (Me and Earl and the Dying Girl) and the late Anton Yelchin, in one of last screen roles. A source close to The Hollywood Reporter claims Focus acquired the title for $5 million. 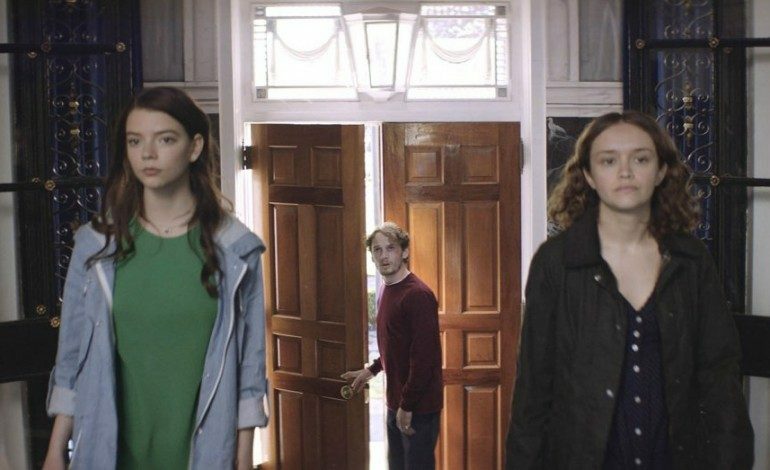 Thoroughbred centers around two suburban Connecticut teenagers (Taylor-Joy, Cooke) who reconnect as friends after some time apart from one another, only to discover that the time spent separated is shrouded in darkness. As a mystery unfolds, both find themselves thinking that a murder may solve their problems. Reportedly, though Focus snagged the film in the end, there was numerous interested parties in the mix at Sundance with Netflix and The Orchard also apparently expressing a desire for the film. “Cory Finley’s debut as a director is stunning,” Focus chairman Peter Kujawski stated. “With Thoroughbred, he’s created a wickedly comic, twisted and entertaining ride. The young cast, including Olivia Cooke, Anya Taylor-Joy and Anton Yelchin, give vibrant performances that bring Finley’s sparkling dialogue to life.” As of yet, no release plans have been made available. The 2017 Sundance Film Festival continues.